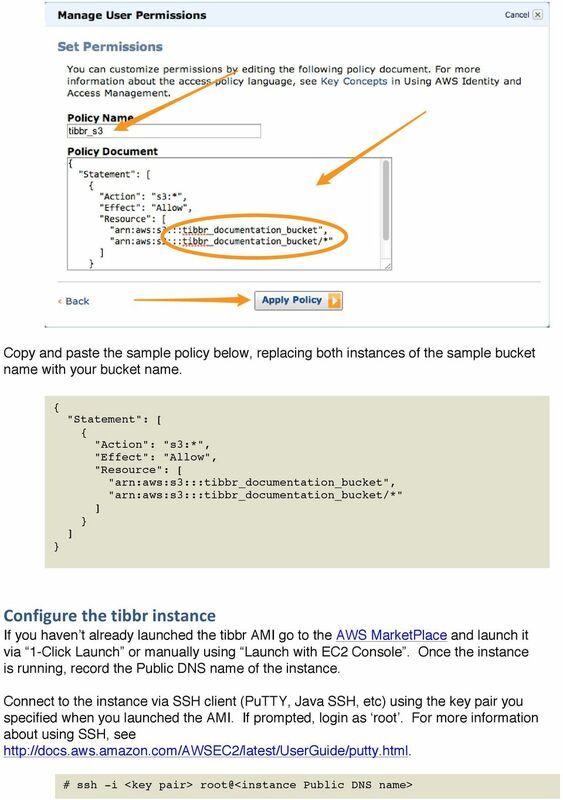 Download "Tibbr Installation Addendum for Amazon Web Services"
8 Your bucket name must be globally unique. 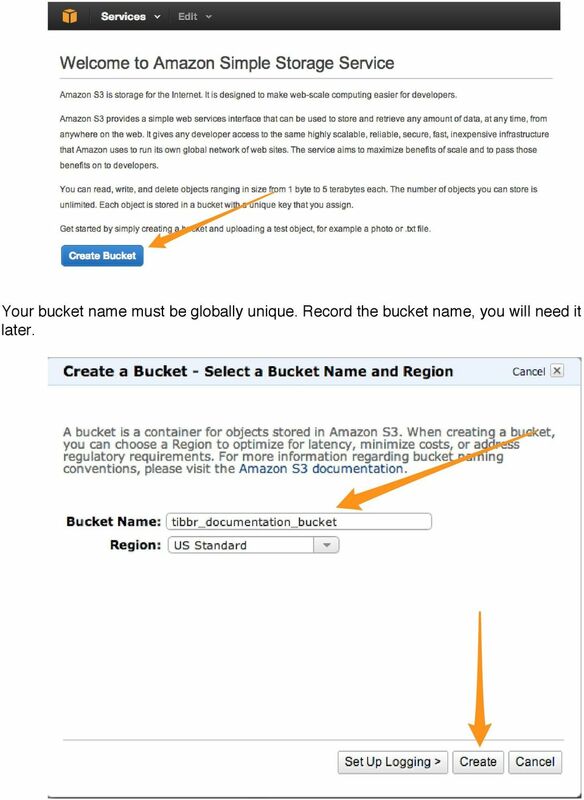 Record the bucket name, you will need it later. 13 Configure the S3 bucket # vim /opt/tibco4.0.1v9/tibbr/4.0.0/tibbr-config/default_app_config.yml Edit the storage: section starting on line 37. 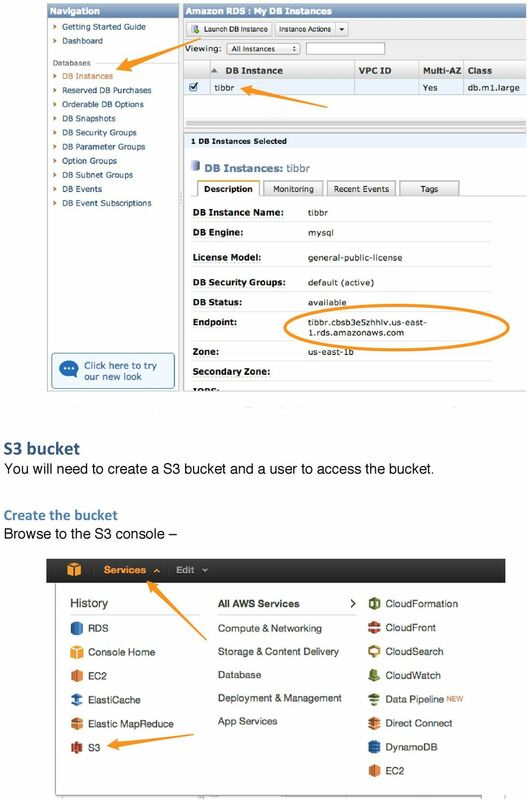 Change the style to s3 and add the bucket you created and the access key and secret access key from the IAM user you created. 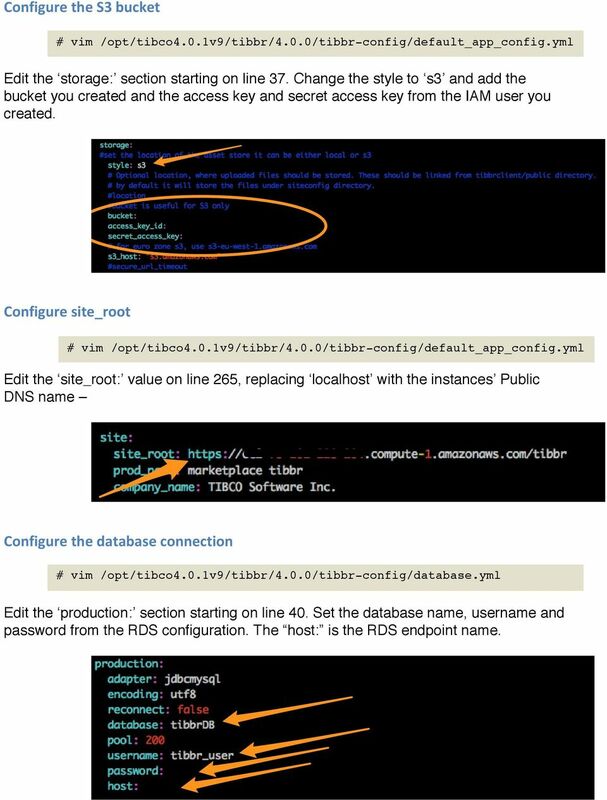 Configure site_root # vim /opt/tibco4.0.1v9/tibbr/4.0.0/tibbr-config/default_app_config.yml Edit the site_root: value on line 265, replacing localhost with the instances Public DNS name Configure the database connection # vim /opt/tibco4.0.1v9/tibbr/4.0.0/tibbr-config/database.yml Edit the production: section starting on line 40. 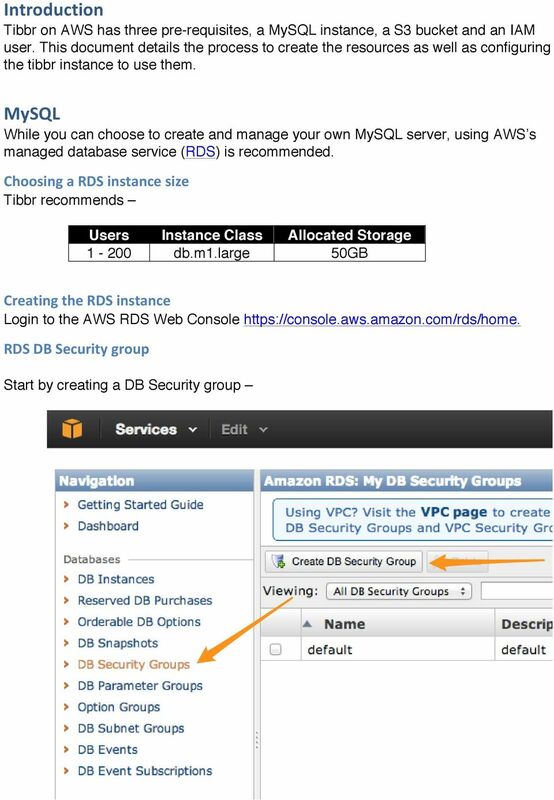 Set the database name, username and password from the RDS configuration. 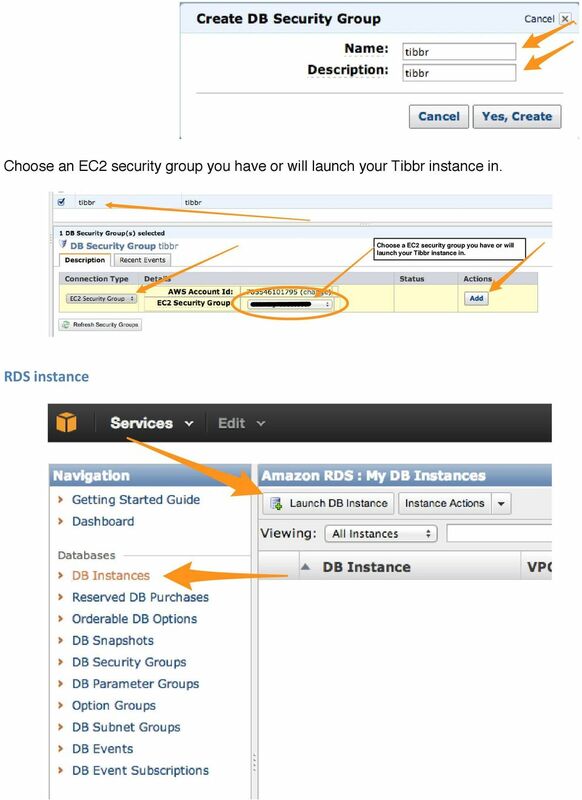 The host: is the RDS endpoint name. 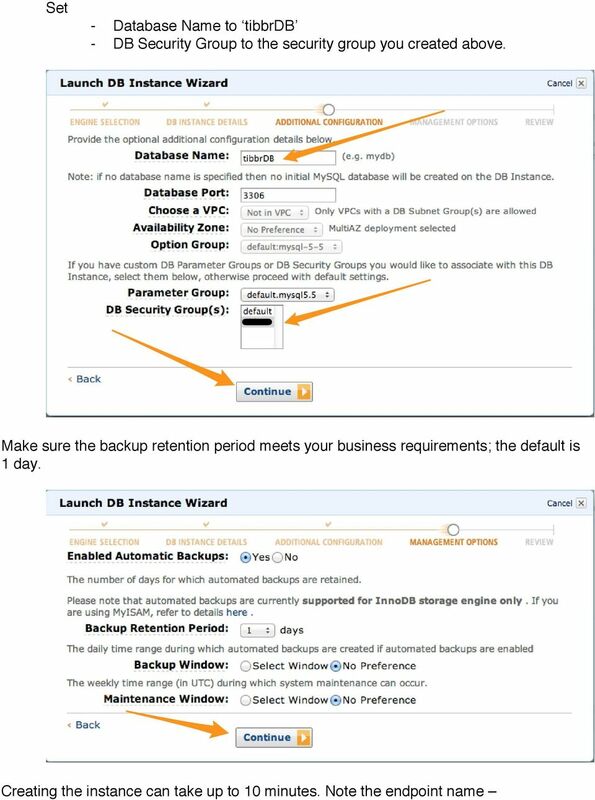 14 Configure the firewall By default the iptables firewall will block inbound connections to the web server on your instance. To open port 80 and 443 # vim /etc/sysconfig/iptables Add these lines just above the line that starts -A RH-Firewall-1-INPUT -j REJECT -A RH-Firewall-1-INPUT -m tcp -p tcp --dport 80 -j ACCEPT -A RH-Firewall-1-INPUT -m tcp -p tcp --dport 443 -j ACCEPT **NOTE** Connections on port 80 are insecure. 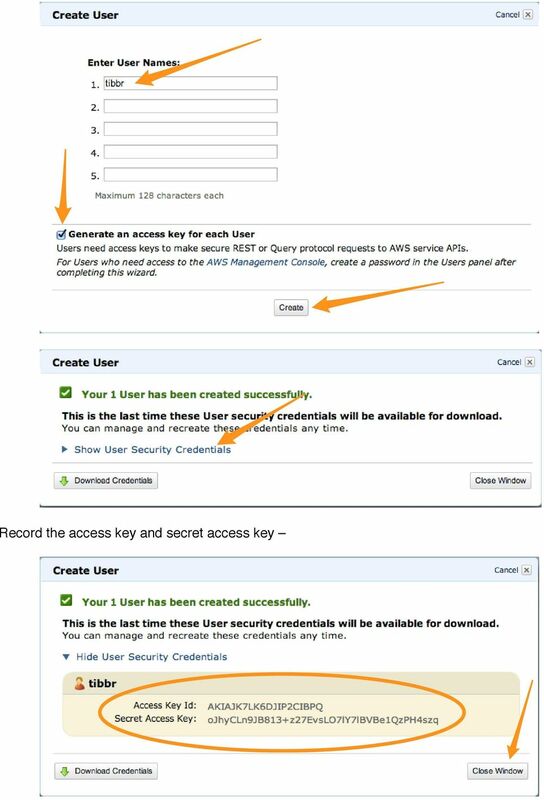 To force users to use SSL don t include the first line (port 80) above. 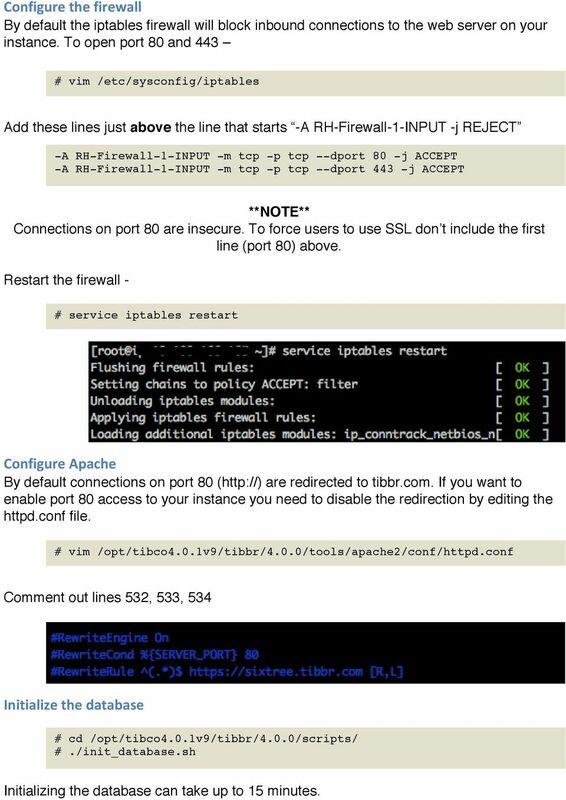 Restart the firewall - # service iptables restart Configure Apache By default connections on port 80 ( are redirected to tibbr.com. 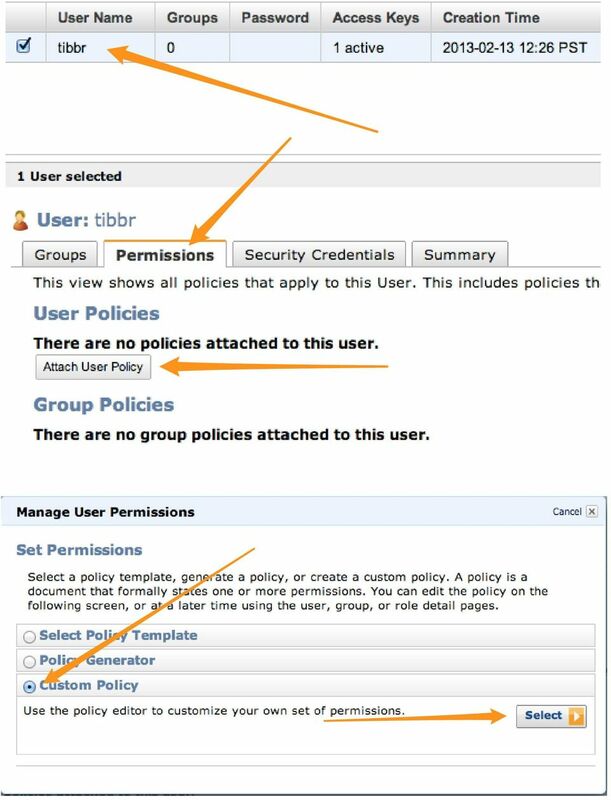 If you want to enable port 80 access to your instance you need to disable the redirection by editing the httpd.conf file. 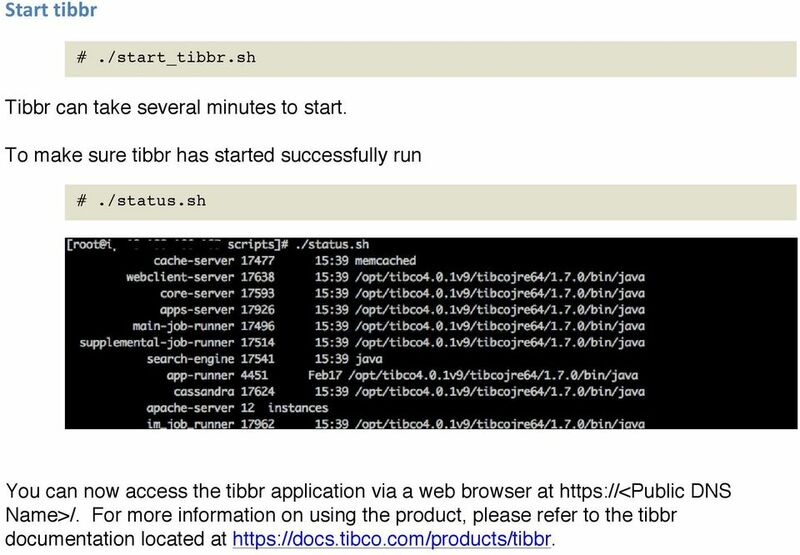 # vim /opt/tibco4.0.1v9/tibbr/4.0.0/tools/apache2/conf/httpd.conf Comment out lines 532, 533, 534 Initialize the database # cd /opt/tibco4.0.1v9/tibbr/4.0.0/scripts/ #./init_database.sh Initializing the database can take up to 15 minutes. ST 810, Advanced computing Eric B. Laber & Hua Zhou Department of Statistics, North Carolina State University January 30, 2013 Supercomputers are expensive. Eric B. Laber, 2011, while browsing the internet. 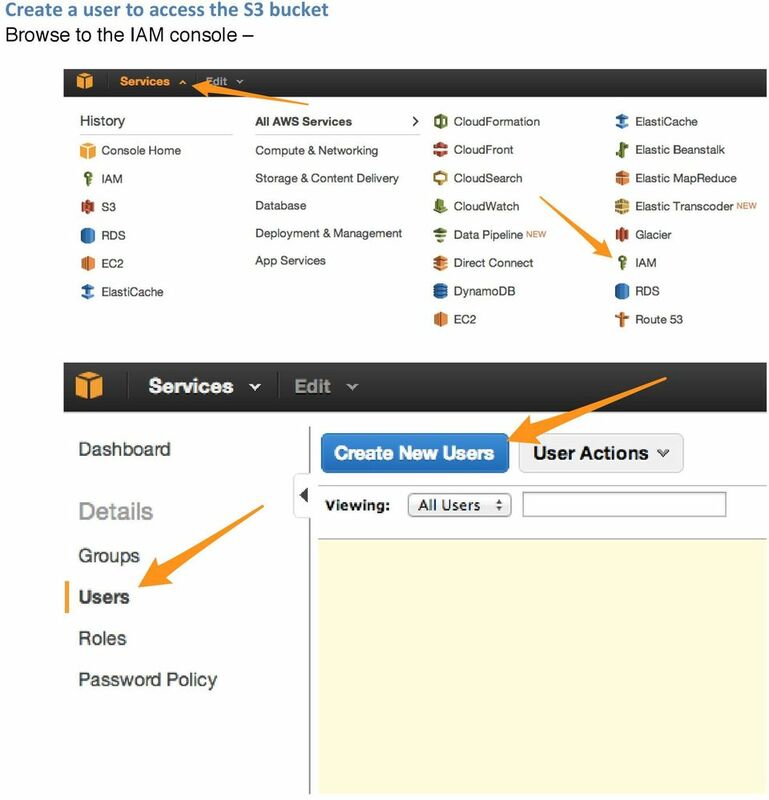 Getting Started with AWS Web Application Hosting for Amazon Web Services Getting Started with AWS: Web Application Hosting for Amazon Web Services Copyright 2014 Amazon Web Services, Inc. and/or its affiliates.